I'd never heard of Emma Newman until I attended Worldcon in London last year. There, on the first day, an American lady started a conversation with me. Top topic, of course, was "which authors are you most excited about", and her instant answer was Emma Newman. She couldn't wait to sign up for a Kaffeeklatsch (small group chat with the author). She described the books and the podcast, and I was instantly intrigued. Since then, I've seen Emma Newman at two other conventions: I attended a useful small group workshop on fear and writing which she ran, and which again showed her as a caring and intelligent woman, dealing with anxieties and trying hard to help others who are in the same boat - basically, she came across a little bit like a British Jenny Lawson, only less manic. And I also watched a live recording of the Tea & Jeopardy podcast. 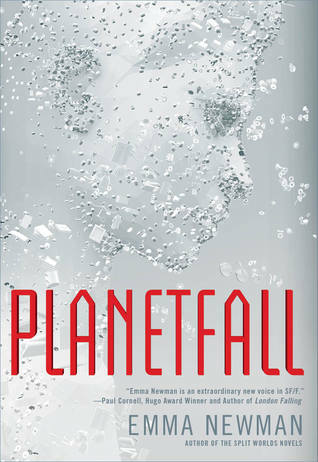 So I was really hoping to love her new standalone novel Planetfall. A departure into science fiction, a different setting entirely, and perhaps, I hoped, a novel that would be more easy for me to enjoy. Planetfall is the story of Renata, a woman living in a small colony on a new planet. The colony lives very long, easy lives: they are almost post-scarcity, careful to live entirely sustainably but assisted by biotechnology which makes this easy, and which lets them still be in their early middle age at age 70. She is different from the others - privacy is important to her, she keeps herself to herself, and as an engineer and a maker, she treasures and fixes things that other people don't bother thinking about. The rest of the colony live open lives, with a constant presence on social media and a very gossipy, nosy attitude, and not very much to do. Renata's entire world begins to shake when a newcomer arrives at their colony: a young man who must have been born after Planetfall, the arrival of these settlers. He must be a descendant of the other people, those who arrived with them, but who had all been killed. Renata is one of only two settlers who know the terrible secrets of that disaster. The other is Mack, the inofficial leader of their colony. Dark secrets, life on a different planet, a future that includes social media and cloud computing and 3D printing? It's a promising, well thought through, excitingly different setting for a novel. I got entirely absorbed by Planetfall. It's engrossing and tense. It's also intelligent, featuring a complex protagonist and various interesting ideas. Characterisation is excellent when it comes to Renata, Mack and several other key characters, but perhaps a little thinner for the rest of the colony. 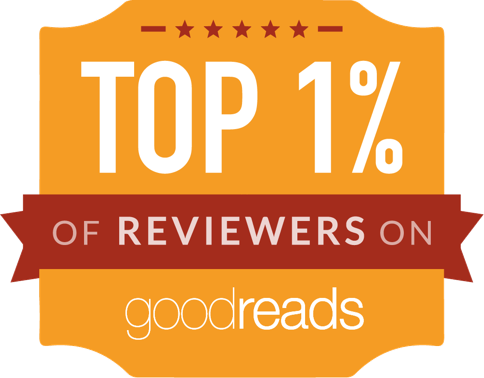 As a literary achievement and as a scifi thriller, the book is no disappointment at all. The problem for me is that it turned me into a nervous wreck as I read it. One of its themes is mental illness, and this was handled realistically, convincingly, and, for me, gut-wrenchingly. A lot of it hit very close to home, and much of the final act was utterly devastating for me as a reader. I suspect the same may not be true for most, or even many, readers, but yeah: this book made me feel bad inside. That's not what I was hoping for, and not what I read for. If I believed in 'trigger warnings' (which I don't), then this book would need a fairly substantial one for my personal issues. That said, as a thoughtful, clever, complex, authentic and well-written thriller, this book is an excellent achievement. It just isn't the book for me at this time. Yeah, I think I'll skip this one for now... but it does sound good.